The team at Total Safety Consulting understands that understanding building code and OSHA regulations can be confusing and frustrating. Our professionals at TSC are here to help you comply with NYC DOB and OSHA standards. We are local code experts that can help your construction site remain compliant. In NYC, it seems that everywhere you look there is a building under construction. To regulate the construction and demolition of buildings, the NYC Department of Buildings has set forth codes that must be followed to promote safety on the jobsite. The latest NYC Construction codes set forth the standards for construction sites. The team of professionals at Total Safety Consulting knows the codes and standards put forth by the NYC DOB. We can help you by providing safety professionals for your jobsite that will monitor compliance. 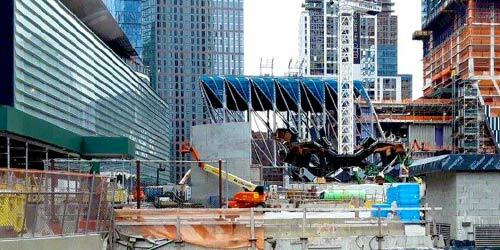 TSC can also help you draft a site safety plan for your jobsite that will comply with NYC DOB regulations. Total Safety Consulting can help you to comply with OSHA regulations. We can provide site specific safety plans created by our team of code experts. We will also can provide safety training to your employees through our Total Safety Training Academy. If you are interested in learning more about how Total Safety Consulting can help your jobsite to be compliant with NYC DOB and OSHA standards, contact us. Talk to a Site Safety Expert today! Talk with a Total Safety Staffing Consultant today! Total Safety Consulting is the largest privately owned safety consulting firm in New York. We create Site Safety Plans and provide certified, licensed staff and Site Safety Management for major commercial, municipal and residential construction projects.